We wrote this in 1997 when it was impossible to put video on the internet. All the things on this page will still work and they do reflect the way that we did Shim Sham in DC in the late 1990s. Since then, many things have changed and there are at least five separate versions of the Shim Sham around. Read on if you want, but take this in its historic context. There are lots of other websites that teach other shim sham variants, many of them with video. However, the point of Shim Sham is getting together, any way you do it is just fine with us. LEGEND: The Original Lindy Hoppers at the Savoy Ballroom had a considerable background in Tap and jazz dance. They used to warm up for dancing by doing traditional jazz and tap steps. Eventually, their warmup became standardized and a group of them could be found on the floor warming up as the band was tuning up. The rhythm of the feet was very distinctive and stuck in the mind of arranger Edgar Sampson, who was a close associate of drummer-bandleader Chick Webb. Sampson wrote a song called "Stompin' at the Savoy" based on the distinctive rhythm of the dancer's feet. The warmup exercise became the Shim Sham dance (named after its first step) and the song became a tradition. 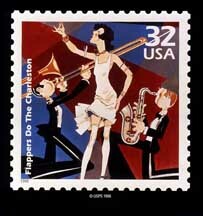 Sampson sold the song to Benny Goodman for $100 during a period of particularly lean times in the Depression. Question: Were the Shim Sham or other line dances done at the Savoy? It is undisputed that the Lindy revival of the late 1980s also brought back Shim Sham. People all over the world think that a Lindy event is not complete without a Shim Sham. Here is a video of Frankie Manning and Erin Stevens demonstrating the Shim Sham. Here is the road map to the Shim Sham (the steps are done in this order). Click on the name of the Step to see a breakdown and to learn more about its history. Except where noted, each step takes one bar (8 Counts). All of the steps in the Shim Sham are Jazz steps and they begin on the count of "8" The leader kicks off the dance at the right point in "Stompin at the Savoy" and everything else follows. These movements are NOT Mirror Symmetric and you do not need a partner. Everyone does the same step. This step gets used a lot in the dance, and is sort of the "Punctuation Mark" for Shim Sham. This part is very much like the Tap Break. Later versions of the Shim Sham use the TOBA Break. For this, it helps if you say a little Mantra to yourself. The "Mantra" will help you get the timing right. There are four bars in the Suite. Mantra: "You Push and You Push and You Cross Over"
and you Cross Over and You Cross Over"
We have never heard a full explanation of how this movement got its name, although we presume that it memorializes an otherwise-forgotten dancer named "Tacky Annie." Although Jazz steps usually start on beat 8, this movemet attains drama by starting on an upbeat, something like 7 1/2, since we hold the last beat of the Side Push Suite for only half a beat. The best way to get this is to say "And Eight". On the first two, you just toch the left foot behind the right and go from there into the "& 8" jump straddle. On the Third, you want to stop doing the step, so you DO NOT touch the left behind. Just hold the beat with feet spread. The reason is that a Full Break comes after the Tacky Annies. Yes, it's just clap and jump back. Don't jump back more than six inches or you'll clobber someone and the people in the back row may hit the wall. Strut away -- the more outrageous the better. You can also replace the pivot with a movement that looks like you are writing the letter "C" in the sand. This is a fairly complex movement in which you "Duck Waddle" for 8 beats. It is named for "Shorty George" Snowden, one of the Original Whitey's Lindy Hoppers who was quite diminutive. It was very humorous when the "giants" around him (including his VERY LARGE dance partner named Big Bea) would crouch very low and duck walk at his level. "Slow Motion": Dancers take two bars to do an 8- count move. The Leader may also suggest specific Lindy steps to be performed --- "Mirror Charleston", "Swingout", etc. All your other options are below!